We all know that dreaded moment. You drop your phone and as you slowly and carefully bend down to pick it up, you close your eyes and hope that you won’t be peering down at a shattered screen. I know the feeling (all too well in my option), which is why I was even more excited to hear Corning Incorporated speak during one of the lunch breaks at the Women in Travel Summit (WITS) about the dramatically improved screen protection against drops with Corning® Gorilla® Glass 4. Tough Enough for an Active Traveler? I’ll admit, I was skeptical at first. I have seen the way screens can break so easily at the slightest drop or encounter with other objects. Especially when traveling, devices like smartphones, tablets, and laptops can get beat up as they tumble around in your backpack or purse. As a travel blogger, keeping my devices intact and in good condition on the road is crucial to be able to get work done. 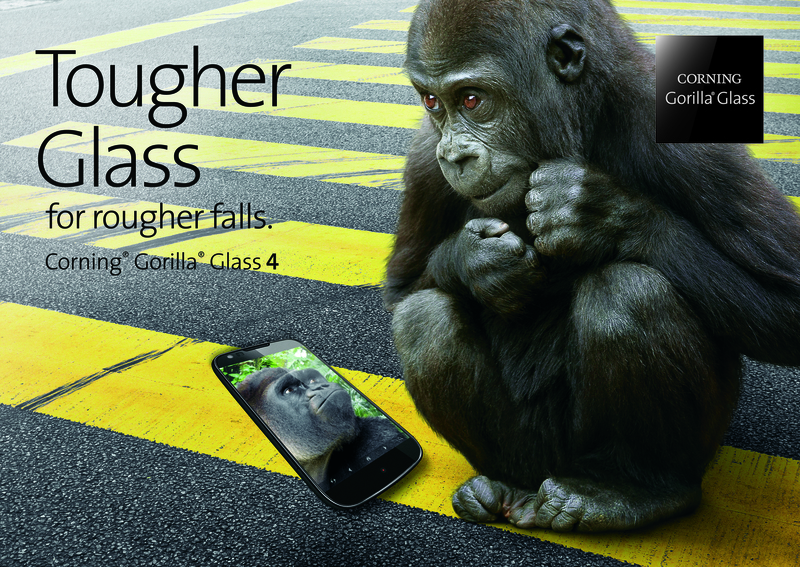 So what makes Gorilla Glass 4 any different? Turns out, it is quite impressive. Corning has a variety of tests that they carry out to determine how well their glass is performing. They showed us some of these tests live during the lunchtime presentation at WITS. Corning first did a demonstration using a tumble tester, a tool used to simulate the shifting of these items inside your bag as you move around. Inside the tumbler, they included two identical handsets – one with Gorilla Glass and one with soda-lime glass – along with common items you might be carrying with you while traveling, like a guidebook, sunglasses, keys, a wallet, a phone charger, brush, and voltage adaptor. Although they didn’t have time to let the tumbler roll for the full 45 minutes like they would during a normal test, they used sample squares of cover glass that had been through this entire test in the lab. Then they put that glass through a pressure test to see how many pounds of pressure the phone could take without the glass shattering. While the soda-lime glass breaks at only 20-30 pounds of pressure, Gorilla Glass can survive over 100 pounds of pressure without breaking! The end results of the tumble tester and the pressure test show much more visible damage and much less retained strength to the soda-lime glass versus Gorilla Glass 4. As if that wasn’t impressive enough, they even brought up a volunteer from the audience to try to break the glass after it was scratched with sandpaper. No surprise, the soda-lime glass was extremely easy to break. However, as hard as the volunteer tried, she was still not able to break the Gorilla Glass! See the tests of Gorilla Glass 4 in action in this video! Corning’s scientists saw how many people were having issues with the glass breaking on their devices, so they set out to discover what was causing the glass to break so easily and how they could make it more durable. They developed a much stronger glass that they are continuously improving upon based on customer feedback and laboratory tests. Gorilla Glass 4 is the toughest cover glass yet and performs up to 2x better than competitive glass designs in devices dropped from three feet high. 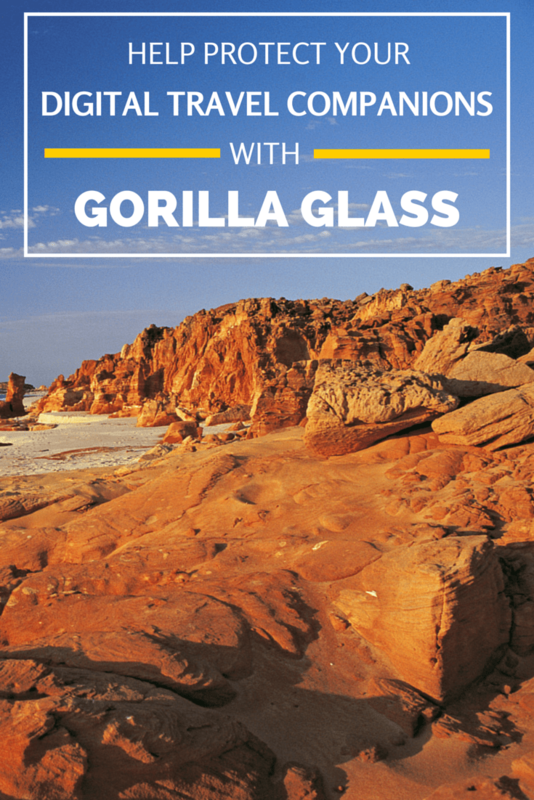 Find out if Gorilla Glass is on your device! 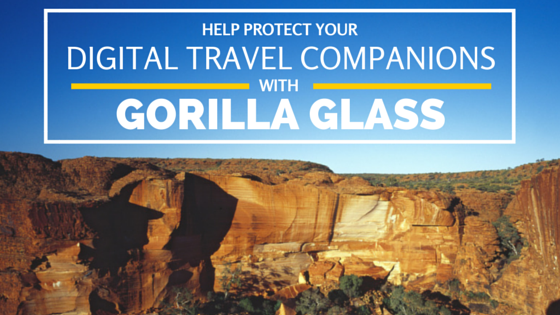 Travel Prepared with Gorilla Glass! Corning Gorilla Glass dramatically improves protection against drops, which is especially handy when traveling through new terrain that can involve rough surfaces that increase the likelihood of your phone being damaged if it falls. Gorilla Glass 4 focuses on improving damage resistance against rough surfaces such as these, and it is proven that Gorilla Glass 4 is better able to withstand damage from drops. Make sure your digital devices are protected with Gorilla Glass 4 to help keep them safe through all your travel adventures around the world! Please note, this post was sponsored by Corning Incorporated. All opinions are my own. If you have any questions about the companies or products mentioned on this page, please reach out to me and I will happily answer them. I heard that this stuff was tough. I’ll have to look into getting my smartphone fitted with it soon! Definitely Elaine! Sometimes people don’t even realize it’s already on their devices 🙂 It can really help keep your devices intact in case of contact with rough terrain!